To my mind, this is not a question that can be answered by simply providing a list. Timely planting is every bit as important as variety selection. 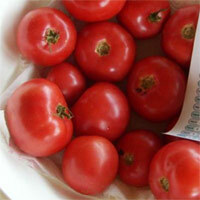 A common mistake new tomato growers in Texas make is to plant too late. Even a couple of weeks can make a major difference in getting a decent harvest from any variety before the heat kicks in, even from some of the “heat setter” types – which frequently don’t taste very good. 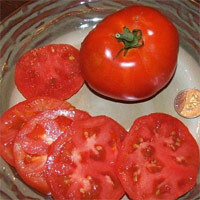 Also, different people define tomato success in various ways. 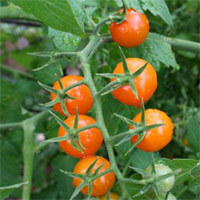 I primarily grow for taste, and have a large garden with plenty of plants, so the productivity of any one plant or variety is not a major concern of mine. If a tomato is not very good to great tasting to me, I probably won’t grow it again no matter how productive the variety was. If you only have room for just a few plants and find productivity to be a major concern, consider more productive varieties. 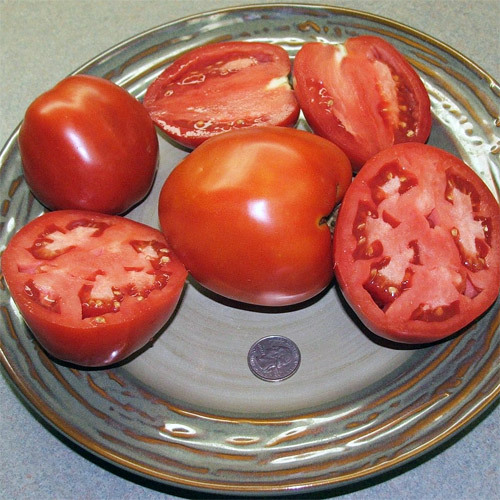 A superb tasting variety that only gives a gardener 5-6 tomatoes per plant may not be considered so much of a “success” if they’ve only got ten tomato plants total in the garden and a large family who loves to eat plenty of tomatoes. 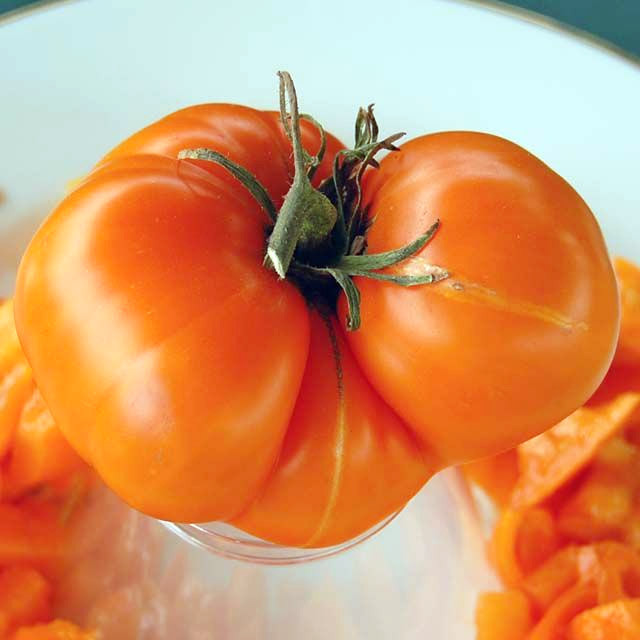 Big Beef — Popular hybrid has above-average flavor. 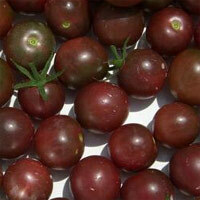 Black Cherry — Dusky purplish-dark cherry tomato; very productive on a large plant — 6-8 ft tall; developed by the late Vince Sapp of Tomato Growers Supply. 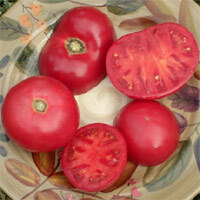 Although this variety can go down to grey mold, the flavor is sublime. 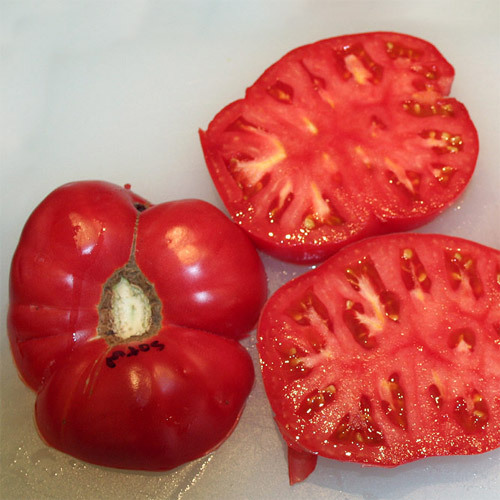 We come across a lot of blanket statements out there like “heirloom tomatoes don’t do well in Texas” and “it is better to grow hybrids”. However, we’ve found that almost any tomato variety can be grown here when planted at the right time and properly cared for. 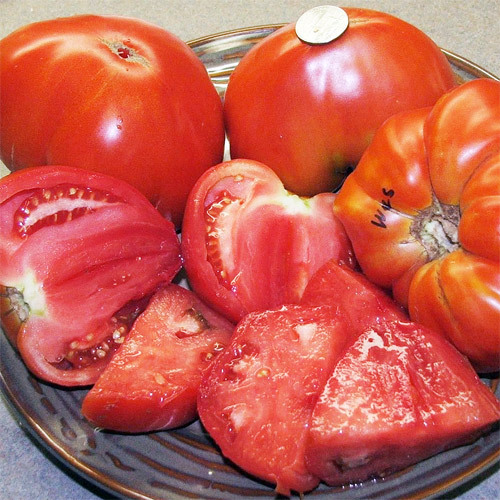 It is true that some varieties are noticeably more productive than others, but this is no reason to exclude heirloom varieties from your garden in favor of hybrids, because some heirloom or open pollinated varieties can be plenty productive too. A wise gardener grows a variety of different tomatoes to find which do the best for him or her in terms of productivity, flavor, and other factors. Cherokee Purple — a dark purplish tomato with meaty interior and well-defined beefsteak shape and flavor, Cherokee Purple is why I grow my own tomatoes. The blockbuster flavor carries notes of balsamic vinegar, pepper, sweetness, and a pleasant spiciness. Discovered by Craig LeHouillier, this variety dates back to the late 1900’s. Indian Stripe — A similar variety to Cherokee Purple with faint vertical striping — can be more productive depending on season. 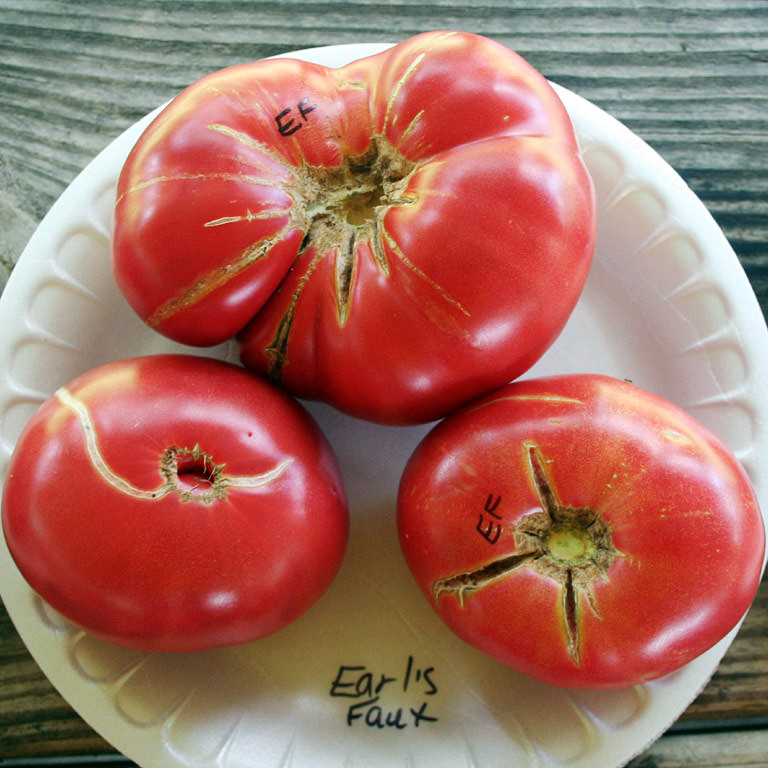 Earl’s Faux — A seed packet intended to be Red Brandywine grew decidedly pink tomatoes with exceptional flavor and increased productivity over the famously stingy Pink Brandywine. Earl’s Faux is my main beefsteak variety for tomato sandwiches and “so juicy you have to eat it over a sink” fresh eating. 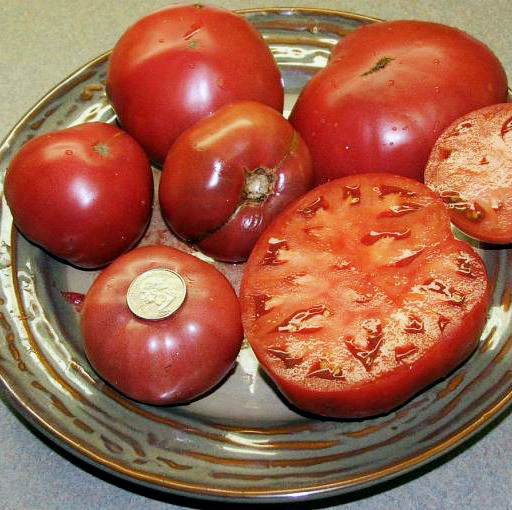 Stump of the World — Along with Brandywine, this variety was preserved and distributed by famous tomato collector Ben Quisenberry. Wes — Giant heart-shaped pink tomatoes are exceptionally meaty and sometimes lack any seeds whatsoever. 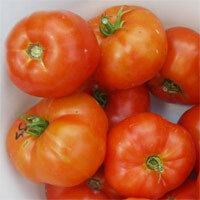 Prue — A toe-curlingly tasty paste or Roma-shaped tomato. Not hugely productive, and fastidious growers will stuff two plants in a single cage, but the flavor of these fully ripe (the tip will become soft) plums is unreal. 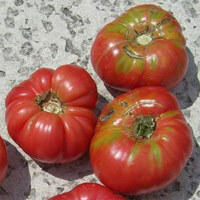 Aunt Gertie’s Gold — So many orange tomato varieties barely register on the palette. If you must grow one orangish-gold tomato and insist on an undeniably zippy and assertive flavor, this is the one to try. Note: Varieties recommended above are just a few we like and are by no means an inclusive list of our favorites. Also, we’ve primarily listed varieties that have at least fair commercial availability for the seed at this time. 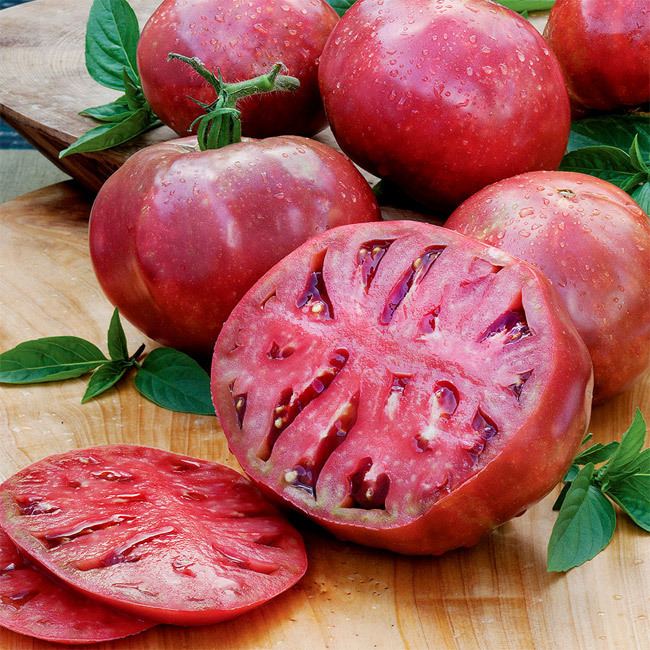 There are over 6,000 recognized tomato varieties, ranging in color from red to pink to purple to red-black to orange, yellow, green (yes, a fully ripe green tomato! ), and countless speckled, swirled, and striped variations in between. New varieties are discovered and developed every year. In addition to old standbys, I experiment with something new every year in the hopes of finding new favorites!